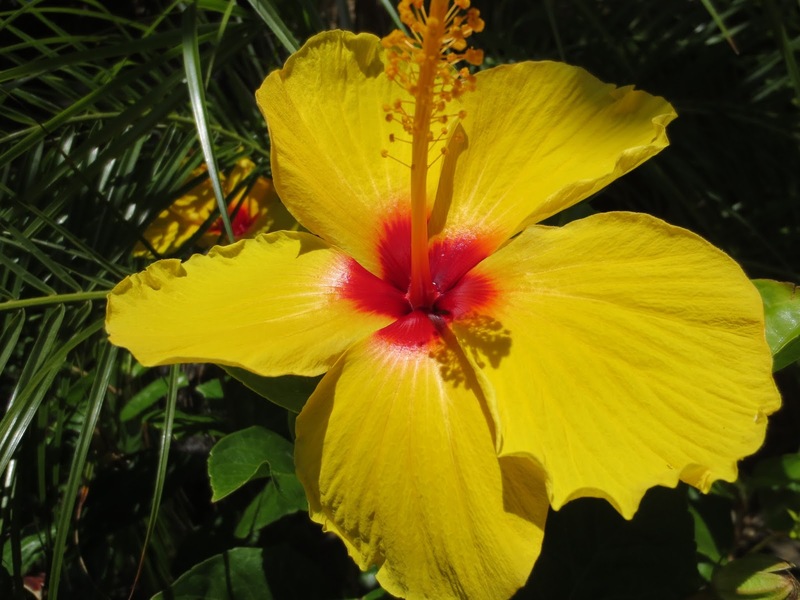 Welcome to The Wild Rose Press authors Summer Treats Blog Hop! This blog hop is all about summer living and fun in the sun. Each author on the hop will treat you with their favorite summer ideas and memories. For me, summer means vacation time. Long, lazy days, and time away from work and obligations. Time to read and relax and hang out with friends and family. Heaven! I live in Canada where summers can be very short, or at least feel like they are, and that makes them all the more precious. I'd like to share with you some of my fondest summer vacation memories. 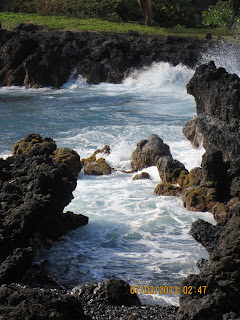 Okay, so strictly speaking, our trip to Maui in March 2013 didn't happen in summer, but it was summer to me when we got there, so I'm counting it. I'd always wanted to go to Hawaii and my first visit there didn't disappoint. I loved it! It had been a very long, cold winter, so a respite in the sun was very welcome. Later that year we drove to Ontario to visit our daughter and other relatives. 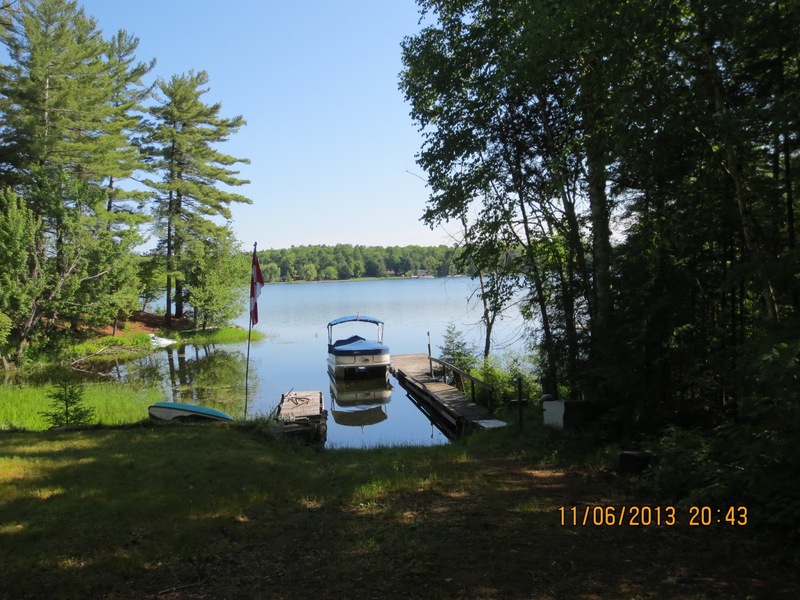 My husband's brother has a wonderful place on a lake, and I'm happy to say we'll be visiting him there again later this summer. In June 2014 we took another big trip and visited France and Spain for the first time. We spent three days in Barcelona (loved it!) before travelling to southern France to take a river cruise up the Rhone River. I loved Provence. The weather was wonderful, the people kind and the scenery beautiful. I was especially taken with the Roman ruins we saw there. We came at just the right time to see the lavender fields in bloom. 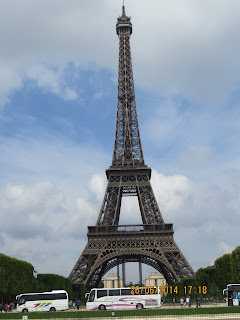 Our trip ended with three days in Paris. 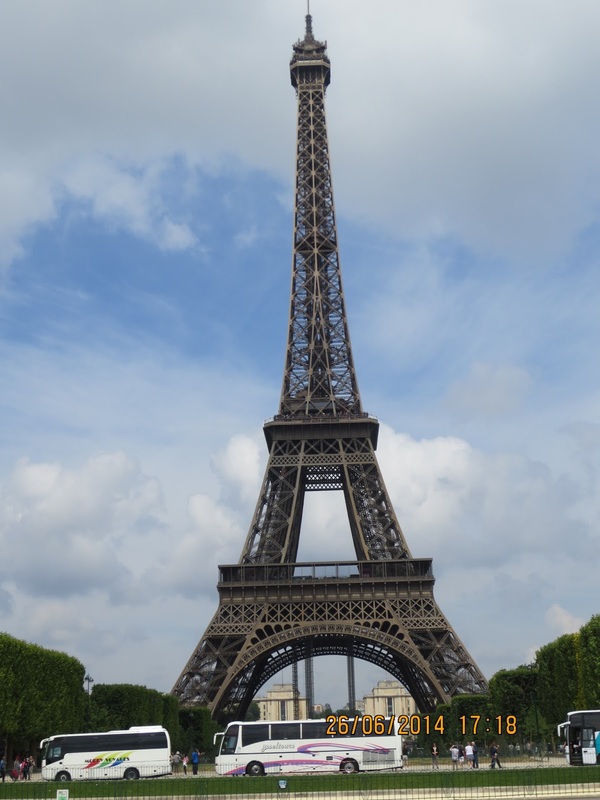 How can you go to Paris without seeing the Eiffel Tower? Last year our oldest daughter moved to British Columbia, so that gave us an excuse to sample the wines of the Okanagan Valley. And the mountains were pretty nice, too! The Okanagan Valley is renowned for its wineries. We had fun going on a wine tour and sampling the offerings at each location. Good thing someone else was driving! So there's a little taste of some of my summer vacations. Where's your favorite place to go in the summer? 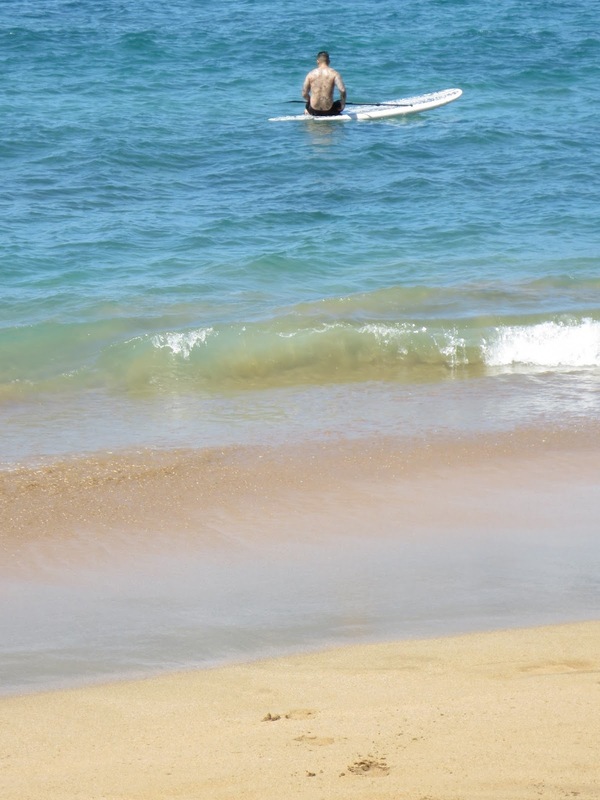 What's your favorite summer vacation memory? I'm giving away a copy of my contemporary romance ONE MORE SECOND CHANCE at Goodreads. You can enter to win here. I'm also giving away three ecopies of my book RESCUE ME. For your chance to win, click here and tell me about your favorite summer vacation destination or memory. Make sure to leave your email address! 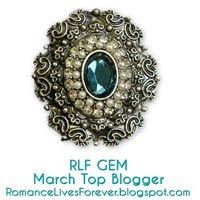 Hop on over to some of the other Wild Rose Press authors' blogs for more fun posts and prizes! Dianne Noble is my guest today. 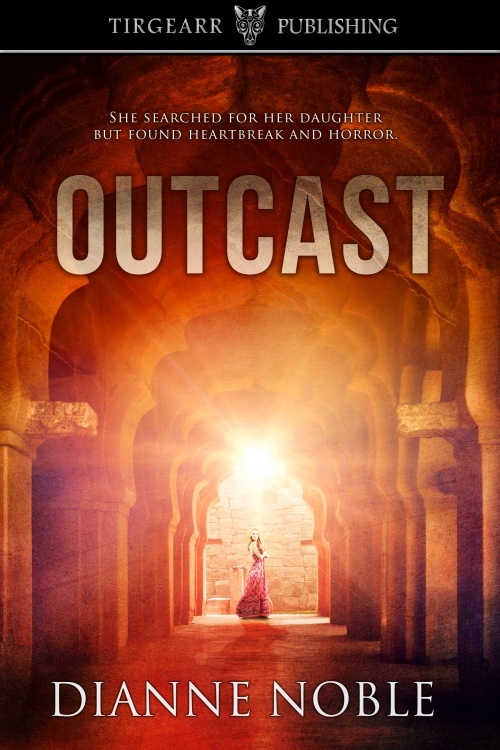 She's here to talk about OUTCAST, her contemporary mystery/thriller set in the slums of India. It looks like a fascinating read. 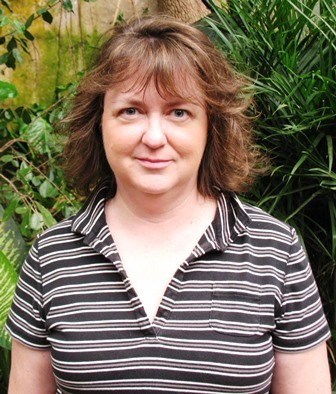 Please welcome Dianne Noble! Rose leaves her Cornwall café to search for her daughter, Ellie, in the steaming slums of Kolkata, India. In the daily struggle for survival she is brought to her knees, yet finds the strength to confront the poverty and disease and grows to love and respect the Dalit Community she is helping. But then there are deaths and she fears for her own safety. Her café at home is at risk of being torched then finally she has to make the terrible choice between the Dalits and her own daughter. She breathed in slowly, one, two, three and then out. Watched the conductor squeeze through collecting fares. The bus stopped again. How could they possibly get any more on? Babies were passed over heads until their mothers could battle their way through to reclaim them. The smells of spice and sweat increased, the rattling of the bus, loud conversations. By the time the bus stopped Rose had made it to the door. With one last effort she burst through the passengers trying to force their way up the steps and almost fell on to the road. Her shirt was stuck to her back and the air outside felt cool. 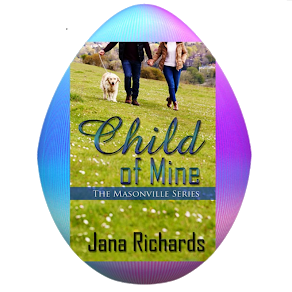 She coughed as she followed Ellie through the honking traffic, held her hands over her ears. ‘You’ll get used to it.’ Ellie said. A family was living on the blackened pavement, only enough room for one person at a time to lie down. Naked toddlers. Rice boiling in a pan teetering on a charcoal fire. Filth, flies. And beyond this family, another and another, packed tight, inches away from the lorries roaring along the road. She hurried past a body enveloped in a brown blanket, studded with flies. Stepped across a pool of vomit, rushing to catch up with Ellie. Shouted out in pain as she turned her ankle on broken stones. She was waiting by a footbridge. Rose tried to re-arrange her features into a semblance of calm but tears ran down her cheeks. ‘OK.’ Ellie’s voice softened a little. Was there a glimmer of sympathy there, a touch of respect? Ellie sighed. Rose followed her down a dark passageway between two crumbling shops, the lumpy feel of broken pavement beneath her feet. Only room for single file. Kept her arms pressed to her body, unsure of what was either side. The alley led into an open space. The stench hit her first – faeces, rotting food. Crows cawed overhead. She looked up to see a tangled geometry of power lines and wires. At her feet naked children up to their ankles in rubbish, empty water bottles, used tampon applicators, yellowed cotton buds, mildewed newspaper. A mountain of stinking, festering filth. Rose saw a settlement of huts made by driving bamboo poles into the ground and draping empty sacks and cardboard over the top. Maybe a dozen of them on the edge of a green pool of sewage. Tiny children ran around playing, shrieking with laughter. ‘Where are their mothers?’ Rose asked. ‘Aunty! Aunty!’ They’d spotted Ellie, tore across the broken ground, flinging themselves at her. She squatted, gathered them all into her arms. Rose saw running sores on their limbs, stiffened. My God, I didn’t bring her up to do this. All the opportunities she’s had, the best schools. She had everything I didn’t and she’s squandering it. ‘Brilliant!’ She wiped green candles from a boy’s nose. ‘They’re dirty, Ellie,’ Rose whispered. A tiny girl held up her arms to Rose, who recoiled as she saw movement in her hair. A woman in a thin sari dragged a sheet of cardboard towards Ellie then put her hands together as if in prayer, bowed her head. The woman gave her a shy smile. Ellie squatted on the cardboard and brought out paper and pencils from her bag. The woman’s head was bent, her tongue between her teeth, as she started copying the words. The children clustered round to watch, pushing and shoving to get nearer. Ellie put her fingers to her lips and they quietened. Rose gave her a blank look. ‘Words, Mum. Anything.’ Her voice rose. ‘One, two, three. My name is Rose. This is my arm, my leg.’ She was shouting now and the children shrank back. Shenaz had risen to her feet. Looked from Rose to Ellie and back again, her expression fearful. Ellie put an arm around her shoulder. 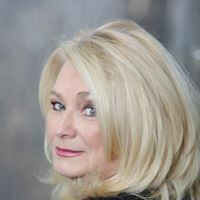 I'm pleased to welcome romantic suspense author Alice Orr to my blog. She's here to talk about the dark side of writing suspense. But even the darkest of her novels bears the light of love. Please welcome Alice Orr! Vanessa was talking about their migration from the North Country of New York State to Convergence Island in Washington State. Her mother traded one remote place for another, and they’d ended up more isolated than ever. Her mother’s answer was as evasive as it had always been. The fear in her mother’s voice came close to backing Vanessa down yet again. She loved her mother and didn’t want to hurt her, but this time Vanessa was determined to find out the truth. She’d allowed herself to be put off for too long. She intended to find the rest of her family. “I’ve decided to go to Northern New York,” she said and closed her ears to the barrage of protests that followed, except for one. I’m definitely fascinated by darkness. Otherwise, I wouldn’t have written fourteen romantic suspense novels so far, with the fifteenth recently begun. 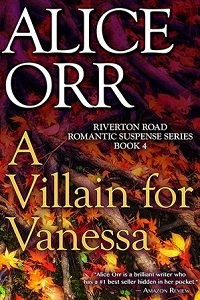 The above excerpt is from A Villain for Vanessa – Riverton Road Romantic Suspense Book 4 – and is what writers of dark stories call The Warning. Vanessa should consider herself warned away from danger, but she doesn’t listen. Suspense novel characters seldom do. He was correct about those last two words. Any bestseller list is proof of how well scary tales fare in the marketplace. 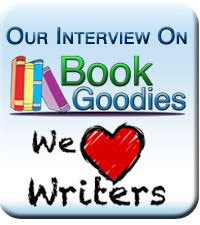 Across the author spectrum from Stephen King to Mary Higgins Clark to Nora Roberts. You can hardly go wrong striking terror in the hearts of readers or movie goers or TV watchers. What David Morrell’s question was getting at that afternoon in Seattle was this. In order to create a place and a situation meant to terrify an audience, the writer must enter the same place and situation herself. She must enter and dig down deep. Otherwise, she won’t touch the terror intimately enough to pass it on in words, and especially in vivid scenes. Mr. Morrell told us his own personal terror scene that day and forced us to write our own, right there in a crowded room. Scribbling in deadly silence. Filling the notebooks on our laps with sentences haunted by the horror, often from childhood, that a real-life human history can contain. Have I got you shivering yet? Maybe just a little? More pointed still, have I set you to thinking about your own human horror story? The one you don’t discuss very often or dwell on privately either, if you can keep from doing so. The corner of your consciousness you avoid because it is dark and shadowed and beasties dwell there. We dark-siders conjure that corner each time we write. For the fascination but, inadvertently, for the reader we save from visiting her beasties. She can be fearful at a distance instead, exorcising her own real demons by encountering imaginary ones. Plus, most of us throw in the solace of a satisfying end. Loose strands tied together. Darkness swept away. In my stories, I tend toward the side of the spectrum where more light is visible because love is happening along with the bad stuff. Which means hope is happening too. My readers and I need that, to be reassured of one thing. Whatever evil has been done, hope gleams at the horizon. What could hold more bright promise than two people struggling to fall in love? A Villain for Vanessa’s Bobby and Vanessa are relentless. They grapple with evil and drag each other toward safety. I invite you to experience their encounter with darkness. I assure you there’ll be light at the end, though your blood may chill along the way. Meanwhile, my answer to Mr. Morrell’s question is this. I write these stories because I love to read them. Find all of Alice Orr’s books at http://www.amazon.com/Alice-Orr/e/B000APC22E and other online retailers. "Alice Orr is a brilliant writer who has a number one best seller in her pocket," says one Amazon reviewer. Alice loves to write. Especially romantic suspense novels and blog posts. She’s been a workshop leader, book editor and literary agent. Now she lives her dream of writing full-time. So far she’s published fifteen novels, three novellas and a memoir – either traditionally or independently. Alice wrote her nonfiction book, No More Rejections: 50 Secrets to Writing a Manuscript that Sells, as a gift to the writers' community. A revised edition is now in progress. Amazon says, "This book has it all." And calls her novels, "Delicious well written suspense spiced with a love story." Most of all, Alice is thrilled to hear from readers. Visit her at her website http://www.aliceorrbooks.com. Alice has two grown children and two perfect grandchildren and lives with her husband Jonathan in New York City. My friend and editor Judith B. Glad has a new Regency romance novel releasing this summer. 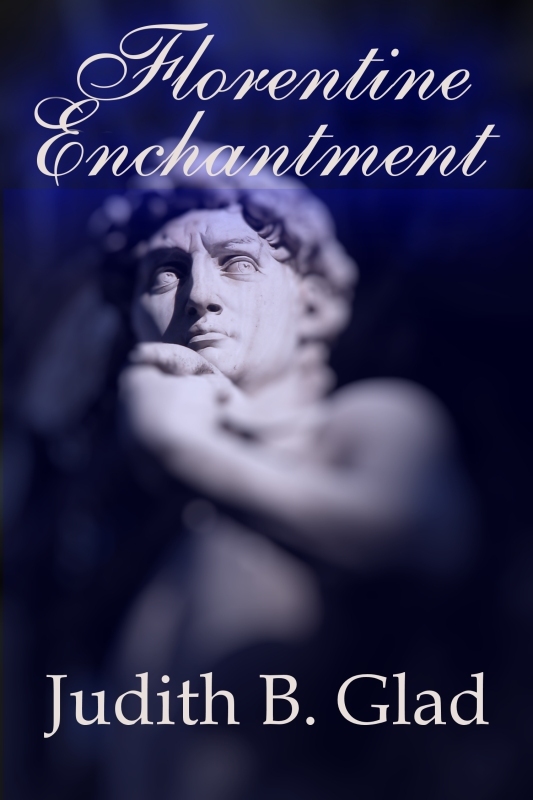 FLORENTINE ENCHANTMENT is now available for pre-buy. Get your copy at Amazon or Kobo. Orphaned in Florence, Lucy Raymond takes the only employment she can find, that of a castrato assistant to an art and antiquities dealer. But as she grows into womanhood, her masquerade chafes, for it allows none of the romance she craves. In her loneliness she often visits the Piazza della Signoria, where she gazes at the magnificent sculptures and dreams impossible dreams. Until one day, when she is overcome by loneliness and the oppressive heat, she faints at the feet of an enormous sculpture, only to wake in the arms of its living embodiment. Allowing herself to be seduced is the last thing Lucy should do. But Vido is warm and vital and the living image of David, so how can she resist? I let my gaze drift past the loggia, seeing but paying little attention to the Cellini bronze, the Donatello marble, the other works of supreme artists. The massive sculpture of Hercules was only part of the scenery, unimportant to me. It was David my eyes sought, David I drank in the sight of. He stood across the piazza on his black marble pedestal, foursquare and firm. I walked toward him, ignoring the crowd, the babble of a dozen languages around me. As I drew near, I raised my chin, letting my gaze linger over his feet, strong white feet, able to walk all day and into the night. His ankles were slim, yet sturdy, his calves well shaped. I saw the veins in his calf, the sinews connecting lower leg to knee. His legs were long, lean, sturdy. Have I told you of his magnificent body, of the strength of his arms, his legs? Of the beauty of his naked chest, his uncovered shoulders? Do you know what a real man looks like, how the muscles lie close to the body, so that every movement becomes a symphony in efficiency? His right leg holds him upright, while the left relaxes. His left arm is lifted, holding a sling, with which he will defend himself--or me--from harm through the long, dark night. My mouth dried at the thought, butterflies fluttered in my middle. I imagined his hands on my shoulders, his fingers touching my cheeks, my eyelids, my lips. I felt his mouth upon mine, not cold like stone, but hot. Wet. His tongue invaded me, swooped between my teeth, tangled with mine. My knees grew weak. I trembled. The smoldering warmth flared into flame, consuming me. Perhaps I cried out. "Signorina, you are ill." A strong arm encircled my waist, a hard body supported me. I smelled sweat and tobacco, a faint aroma of wine, as I was lowered to the pavement and propped against the pedestal supporting my love. The eyes staring into mine were brown, soft like a doe's, ringed with thick, long lashes of sooty black. The face was familiar--like so many I saw daily in the streets, a poor replica of my David's. The hand cupping my cheek was hard with callus, but gentle, tender in its touch. "No, I am not ill," I said, but my voice betrayed me. It quavered with the aftermath of my helpless passion. His smile was quick, fleeting. "Of course you are not ill. Merely overcome with beauty. I saw you, saw how you could not take your eyes from...him...from David." He glanced upwards, a quick lift of his head. "He is indeed one to make a woman tremble, no?" "I love him," I said, then bit my tongue. "I mean, I love the artistry, the beauty of the sculpture. It is incomparable." "Sì. But he would be much prettier were he flesh and blood. Here, let me help you stand. I will give you wine and bread and you will feel much better." 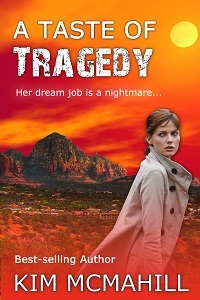 I'm shining the spotlight on best selling author Kim McMahill and her novel A TASTE OF TRAGEDY today. Welcome to Journeys with Jana, Kim! Kim McMahill grew up in Wyoming, which is where she developed her sense of adventure and love of the outdoors. 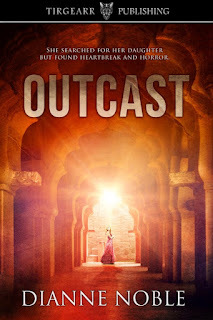 Kim started out writing non-fiction, but her passion for exotic world travel, outrageous adventures, stories of survival, and happily-ever-after endings soon drew her into a world of romantic suspense. 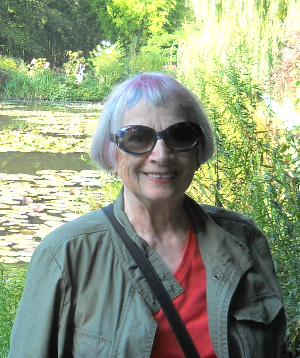 Along with writing adventure novels Kim has also published over eighty travel and geographic articles, and contributed to a travel anthology and cookbook. Kim currently resides in Colorado, and when not writing, she enjoys gardening, travelling, hiking, and spending time with family. No, your eyes don't deceive you. It's July, not December. 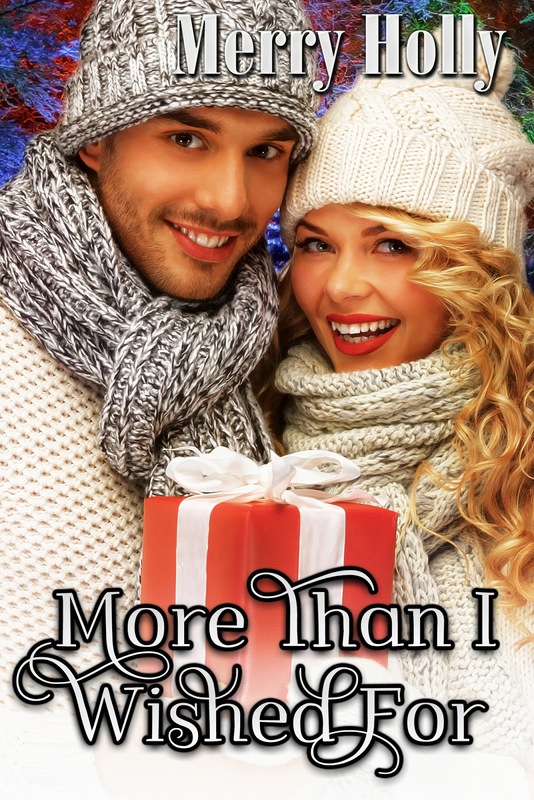 But my guest Merry Holly is here today with a recipe from book three of her contemporary romance series MORE THAN I WISHED FOR so we're celebrating Christmas in July. Season's Greetings and happy Chocolate Mousse everyone! Thank you, Jana, here is the Chocolate Mousse Recipe from Noelle’s Surprise (3rd book in More Than I Wished For.) Chase has been wrapped up in his latest project leaving Noelle alone a lot in an unfamiliar place. She’s questioning her decision to marry a man she hardly knew. Chase fixes Noelle a romantic dinner to let her know she’s the most important person in his life. And promises to spend more time with her even if it puts him behind schedule. 1 cup heavy cream, whipped, sweetened and flavored with vanilla, Cognac or 1 or 2 tablespoons sherry or kirsch. Soften the chocolate over hot (not boiling) water and let cool to room temperature. Separate eggs and beat the yolks until very light and lemon-colored. Add the sugar gradually, and continue beating until very light. Stir in the chocolate and beat again until the mixture is very light, adding the vanilla and salt, while beating. Beat the egg whites until foamy, add the cream of tartar, and beat until the whites are light and hold a soft peak. Fold into the chocolate mixture with a rubber or plastic spatula. Turn the bowl as you do this to incorporate the two mixtures evenly and retain as much air as possible. Spread lightly into the prepared pan and bake in the preheated 350 degree oven approximately fifteen minutes (15) or until the roll pulls away from the sides of the pan. Transfer to a rack, put a damp towel over the pan, and leave for ten minutes (10). Take off the towel, loosen the sides of the roll, and turn onto wax paper sprinkled with cocoa or powdered sugar. Cool. Fill with the whipped cream, but do not spread it out to the edges. Lift the wax paper on one side, which will cause the cake to lift also and roll inward. Continue to roll, and roll off the paper onto a serving plate or onto a Roulage Leontine or a special chocolate roll board. This roll will often crack, but it does not matter. Serve cut in diagonal slices. It will freeze, but not well, it’s best eaten fresh. It will hold perfectly at room temperature for 4 or 5 hours. Instead of spreading in a pan, turn the mixture into a buttered and sugared 1-quart soufflé dish and bake for about 45 minutes in a 375 degree oven. Serve with whipped cream. Soufflés are delicate, no bouncing on the floors while it’s baking. Large vibrations will cause it to drop. The groceries, handbag and appointment book hit the floor. Chase stood by the stove stirring something with her ‘Kiss the Cook’ apron on, and nothing else. Grinning, he walked to her, kissed her on the lips, and bent down to pick up everything she dropped. Turning her wrist, she checked the time. Four o’clock in the afternoon. It was the first time since they’d come to the island he was home this early. “Hello, darling.” He put her things on the counter. Staring, she couldn’t find the words to express her joy. “Chase…” Rushing to him, she wrapped her arms around him, pressing her body close to his, kissing him thoroughly. “If I knew that would be my greeting, I’d leave work this early every day.” Tilting her head up, she let him work his way down her throat. He almost let it burn but thought twice about it. “I want you to sit right here, and I’ll serve you.” He pushed back, took her by the arm, and led her to the dining area off the kitchen, a room they rarely used. The table dressed in linens along with the Waterford candlesticks her mother had given her as part of her shower gift, created a lovely and romantic atmosphere scene. The hutch stood floor-to-ceiling the glass doors glistened as the waning sunlight bounced off the crystals. Framed in black, a couple entwined, eyeing each other, graced the wall. Painted in dark, mysterious colors, the picture evoked images of sensuous love. Tears swam in her eyes, but didn’t fall. Her heart soared at his effort. He started serving the first course. She patted him on his bare bottom as he turned back to the stove. “I am. This looks wonderful, great presentation by the way.” He had circled the prawns around the plate with two different sauces, a remoulade and a hot cocktail sauce in the middle with a sprig of parsley on the side. Not only did it look beautiful it tasted delicious. “So how did the doctor’s appointment go today?” he asked when he sat down. “You missed your appointment.” He put down his fork, steeple his fingers. Not a good indicator. “It’s not for me. It’s for you and your health that I want you to see him. What idea?” And just like that the crisis is avoided, she thought. Looking down, she couldn’t believe she had finished the appetizer. Chase collected the plates. Noelle’s mind checked off everything she’d need to do to convince everyone else it was a good idea. Lost in thought, she jumped when he put the soup in front of her. Its fragrance filled her head. Vichyssoise, another of her favorites—her man certainly knew what she liked. Spooning it up, she savored the flavor. Noelle helped herself to a second bowl of soup before Chase danced her off to the bedroom, but not before he cranked up the violin concerto on the stereo.